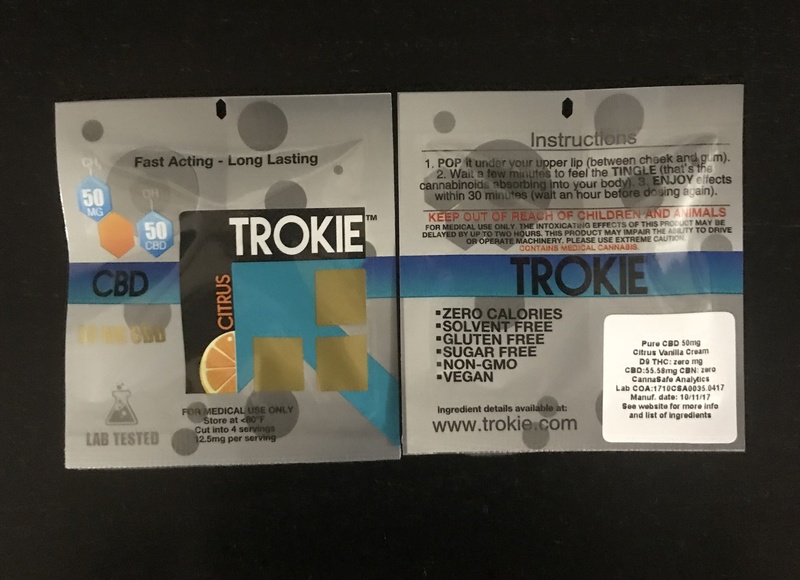 The Trokie CBD infused edibles are pharmaceutical grade lozenges or drops that are free of calories and allergens, offering you the best in class medicated drops. This drop contains 50 mg of full spectrum CBD oil extracted from the hemp plant, delivering consistent, controllable, and repeatable doses of medical cannabis with a sublingual or buccal absorption method. Why is Trokie Citrus CBD Hemp Oil Lozenge good for you? Buccal and sublingual absorption allows the CBD in the lozenge to avoid the liver’s process of metabolism. The absorption rate of Trokie’s medical edibles is three times faster than normal edibles that takes more than an hour to fully digest and absorb. This product is 100% non-GMO, gluten-free, and vegan-friendly. It is made with natural ingredients and infused with pure cannabis oil from organically grown hemp plant. Trokie’s lozenges. This CBD-infused product improves symptoms and provides relief to a myriad of serious health conditions. It can be used to treat symptoms such as severe pain, anxiety, and inflammation. People needing a heavy and long lasting dose of relief from pain, arthritis, epilepsy and neuropathy will find a lot of solace in this product. Sugar free!! That’s my best choice!!! !